LocalCircles is looking for people who believe they can change the world. Change the world around them in and around their community, city and state. We are looking for committed men or women who believe in the power of a community. LocalCircles needs such people across multiple locations. You should be able to manage online communities at city and state level, help drive engagement and redressal. 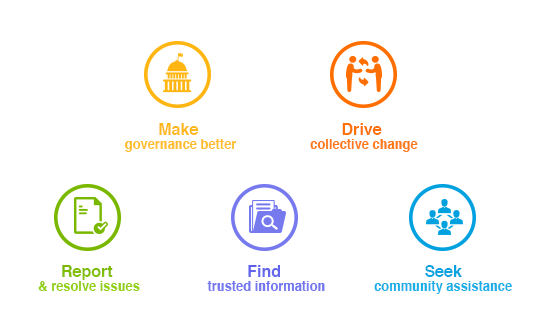 Monitor discussions at community level, introduce issues or subjects for discussion. Drive conclusion on such issues through white papers, and interaction with the administration. Surveys to gauge citizen pulse on a regular basis. Polls that will help drive governance or redressal of issues. Help crowd-sourcing of solutions. Help media in gauging the mood of the people on important issues. Connecting the administration at all levels with LocalCircles and citizens to enable redressal. • Good communication skills both written and spoken in English, Hindi and regional language of the state.